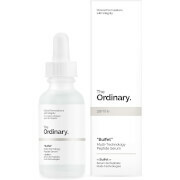 This exclusive triple-action serum effectively tightens pores and boosts skin renewal, evening texture and tone. 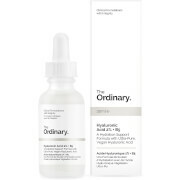 AHA Glycolic Complex (7.5%) exfoliates at all three levels of the epidermis to accelerate skin renewal while LHA unclogs pores and refines uneven skin texture and imperfections. 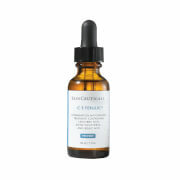 Accelerate skin renewal and tightens pores. Formula is non-comedogenic, fragrance free and paraben free. Apply morning and/or evening prior to a normal moisturizer. Caution: Use with a sunscreen for day time use. Avoid eye area. Aqua / Water, Alcohol Denat., Hydroxyethylpiperazine Ethane Sulfonic Acid, Glycolic Acid, Diisopropyl Adipate, Propylene Glycol, Pentylene Glycol, Citric Acid, Ppg-26-Buteth-26, Peg-30 Glyceryl Cocoate, Peg-40 Hydrogenated Castor Oil, Sodium Hydroxide, P-Anisic Acid, Capryloyl Salicylic Acid, Tetrasodium Edta, Polyquaternium-10.